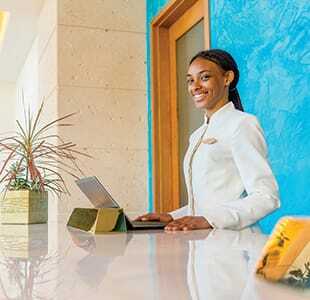 At Hyatt, we’re passionate about people and opening doors to new opportunities. True to our company’s purpose – we care for people so they can be their best – we have worked with community-based organizations around the world for decades to help young people rise to their full potential. 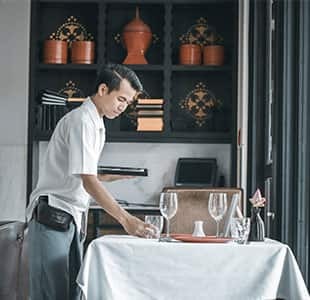 Now, we’re taking a bigger step: With RiseHY, Hyatt hotels are making a commitment to hire 10,000 Opportunity Youth – young people between the ages of 16 and 24 who are disconnected from our economy either by not working or not going to school – by 2025. 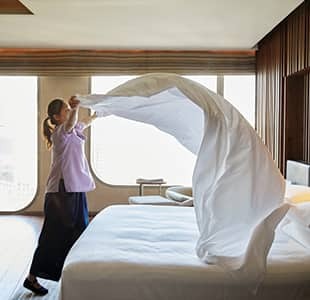 At Hyatt, we’re in a unique position to be part of the solution because hospitality is an industry where people can truly rise out of entry-level roles and build meaningful, life-long careers. All hiring by Hyatt hotels is subject to applicable law, which may include without limitation non-discrimination and minimum age requirements. With the help of virtual reality, young people can experience what life is like working inside a hotel. And, we’re working with community-based organizations who will use digital technology designed to match candidates’ skillsets with the entry-level job that is the best fit, helping to set them up for success from the start. And finally, we are growing our global network of community-based organizations to make these opportunities a reality in each community. With the help of organizations like Youth Career Initiative and Grads of Life, Hyatt hotels will provide on-the-job training programs as well as full-time employment. If you’re interested in learning more or partnering with RiseHY, please contact risehy@hyatt.com. Interested partners, please complete the contact form about your organization.